First, I would like to thank you for visiting my profile. Being a single-mother of 2, does not really mean anything different from a 2-parent family to me and my kids. I have raised them normally and they have never felt ‘incomplete’ as we all live with my whole family. 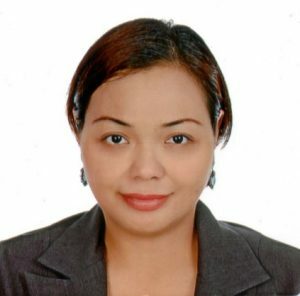 I have a degree in Hotel and Restaurant Management and started my work-life in the coffee industry for almost 7 years, here in the Philippines and in Dubai, UAE. I began my coffee journey as a Barista, then a Supervisor, and then Unit Head. After those years in the caffeine world, my eyes turned towards the BPO industry. In 2010 I started out as a Customer Service Representative in BPO. I then took on the role as a Support Specialist, and my most recent post was an Account Manager / Project Contractor for a VoIP company. The last company that I worked with was considered ‘home-based’ but it was somebody else’s house which was the Manila site for the company based in Chicago. All those years I worked different shifts… and it has been only in the last month that I have realised that I am missing a lot of life with my kids. I felt surprised to see how much they have grown. Although we have cuddle and talk times every single day, it always breaks my heart that we have to stop for a while as Mummy has to prepare for work. This realisation is what has led me to decide to search for a home-based job, and this time, in my own home! Previous work success proves I can easily adjust to a schedule and work load that I am assigned. I have always been very particular with details and make sure that results are beyond satisfactory, as I take every task seriously. I have always made sure to put my heart into whatever I do and take ownership of any given task. Finding a place as a Virtual Assistant would be perfect for single parents like me. Nothing is more heart-warming than knowing how my kids are doing while I am at work just in the next room. For a copy of Janice’s resume please click here.